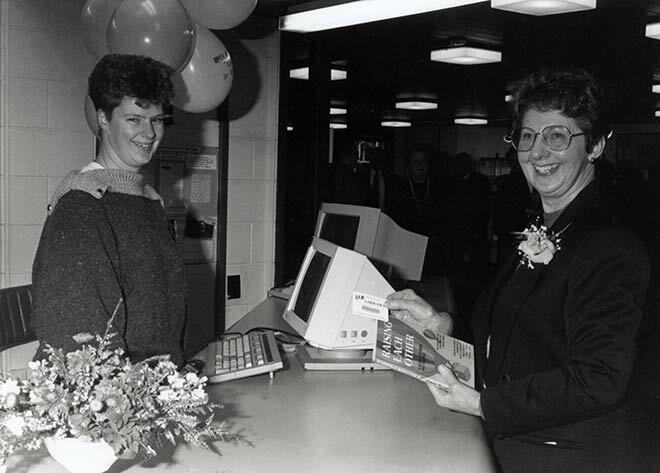 In 1993 a Dynix library system was installed at the Upper Hutt Library. It used bar codes to issue and return books, which rendered the card system obselete. Librarian Kerry O'Keefe (left) issues a book for fellow librarian Margaret Gardner using the new system for the first time that year.